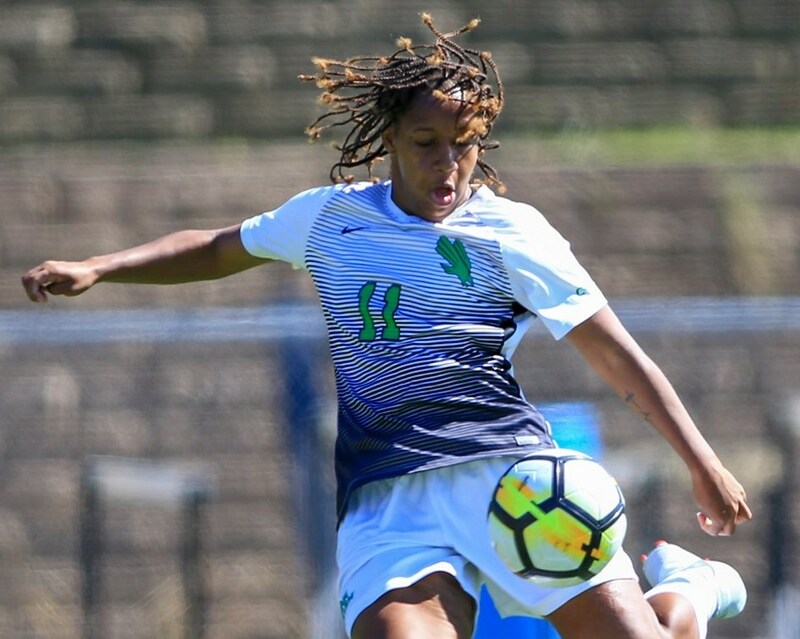 After scoring the championship-winning goal on Wednesday at Middle Tennessee, senior Aaliyah Nolan has been named the Conference USA Offensive Player of Week. Nolan scored both goals in the Mean Green's 2-1 victory over the Blue Raiders that clinched them the No. 1 seed in the upcoming conference tournament, but it was her double overtime goal in the 102nd minute that she will forever be remembered for. From roughly 25 yards out, Nolan intercepted a batted down ball by the Middle Tennessee defender, drove to her left and fired a shot into the back of the net. "I've been working really hard this season and getting recognized for that means a lot," Nolan said. "I go out each game and not only want to do well for myself but more than that, I want to do well and show up for my team. "I couldn't do it without my team behind me," she added. Nolan's first goal on Wednesday came just a few minutes after the Blue Raiders had taken an early 1-0 lead. But from there on out, the all-conference forward was a menace for the Middle Tennessee defense as she was on the attack constantly. Wednesday marked the senior's third two-goal performance of the year and with it became the team's leading goal scorer for the season. Nolan currently has nine goals on the year and also leads the team with 22 points. The nine goals this season are also two more than she had all of last season as a newcomer to the program. This week's C-USA Offensive Player of the Week honor is her first of her collegiate career.